On Club Permit No 00536H. Nice neat little ute. Always garaged. Has no transfer case, drive is straight from the gear box to the rear differential. The Front differential is plated off. The vehicle was built by Glen Stones for the 1995 “Back to the Track” trip to Darwin. 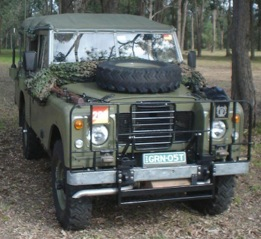 A unique military 1980 Series 3 FFR Land Rover, probably the most complete example in the country. Floor sand blasting cabinet. 10 gallon sand blaster.RDX800i Free airflow suction capacity unit.30 gallon 180 PSI gas powered two stage air compressor no less than $800.00.Small compressor.A frame for towing (Military). Pedestal drill press. Woodman 12 inch planer. Ryobi belt sander. Two bench saws. Gantry. Oxy equipment. 10 ton capacity hydraulic body frame repair kit. Air tool equipment. Angle grinders. Massey Ferguson Tractor. Bucket and grader blade for tractor. De Havilland Gypsy 2 to 3 person sail boat with trailer. Cement mixer. King size waterbed mattress. Electrical Tools including 2 nail guns. Shelving. Car parts and tyres. Motor bike ramps. Fishing gear. Push bike. Two pallets of bricks. 6 burner barbecue. Sheets of metal including complete shed bar frame work. Bric a brac. Hino Camo truck. Beaver Tail Recovery truck. 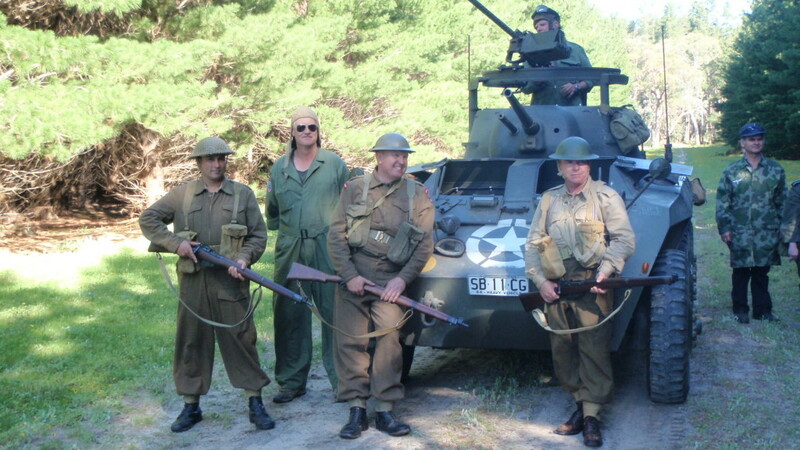 RSA and WVCG staged a combined re-enactment of battles fought in France in 1944 in Crawford forest on Saturday 21st September 2013. RSA provided allied troops in the form of British Army infantry, German Luftwaffe paratroops (Fallschirmjäger), and Wehrmacht infantry. WVCG provided Mick Jenner’s “captured” jeep in German livery, and Rick Shearman’s Greyhound. 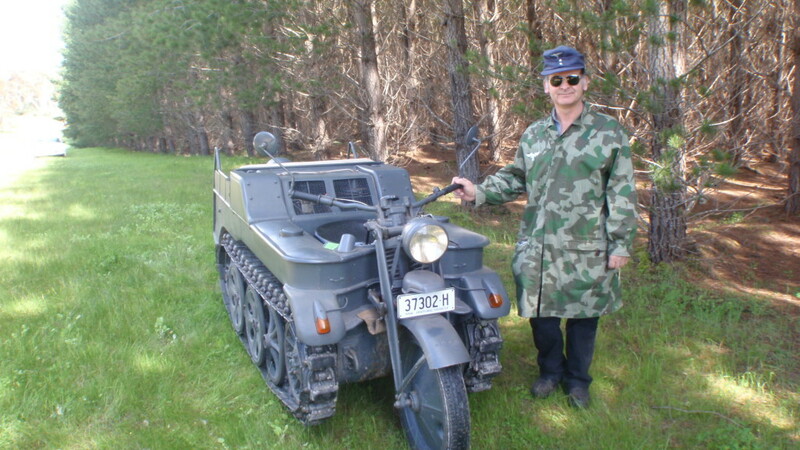 Also provided was Doug Greville’s Kettenkrad, a German half track motor cycle. The jeep and Kettenkrad were mainly used for transporting the German troops around the battle area, but the jeep was also used in an armed reconnaissance. 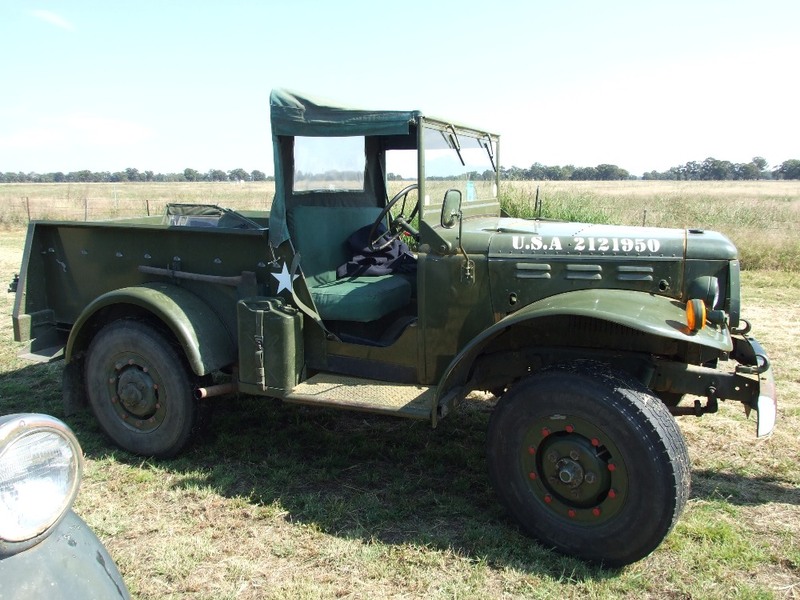 At one stage, the jeep was used to repatriate a Wehrmacht soldier to base camp who had injured his knee during a battle. Later in the day Rick’s Greyhound was brought into service to flush out the Germans hiding in cover in an ambush, the 37mm gas-fired cannon making much noise. Mick Jenner’s jeep was subsequently “destroyed” in its hiding position by Alan Newton firing the cannon on the Greyhound. All involved enjoyed the day’s activities, and a further event is planned for the new year (after fire season) when the event will be expanded to include more vehicles in active engagements. The Crawford Forest venue is excellent, with varying wooded terrain and many interesting tracks. Its such a pleasant place to hold a battle. All WVCG members are encouraged to provide their vehicles for the next event. More later. 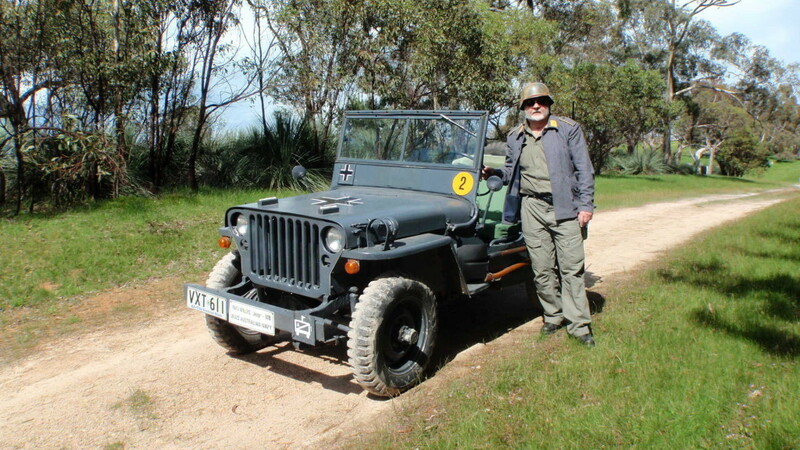 “Horst Muller” aka Mick Jenner with his “captured” German jeep. A light armoured column, Army Group A, with support elements, may possibly de- part the Shearman Facility at Tungkillo on Friday am 18th October 2013 and biv- ouac overnight at Camp Cutajar, Swan Reach. Saturday 19th October 2013 they may move north through Blanchetown and bivouac on the eastern side of the River Murray at a predetermined RV near Morgan. Not withstandingany move by Army Group A, mounted reconnaissance units, Army Group B, will depart from the parking area opposite the bakery in Lyndoch at 1000 Hr’s on Saturday 19th October 2013 and move approximately 100km in a NE direc- tion through the backtracks via Seppeltsfield, Moppa, St Kitts, Dutton, Stonefields and Mt Mary before joining up with the other column and bivouac at Morgan. There will be very minimal bitumen driving. Sunday 20th October 2013 will be available for local vehicle display outside the Ho- tels in Morgan and for a reconnaissance in the local National Park. Then most ele- ments will return to Adelaide via Eudunda and Kapunda, or via Blanchetown, Pipe- line Road, Angaston and Lyndoch. 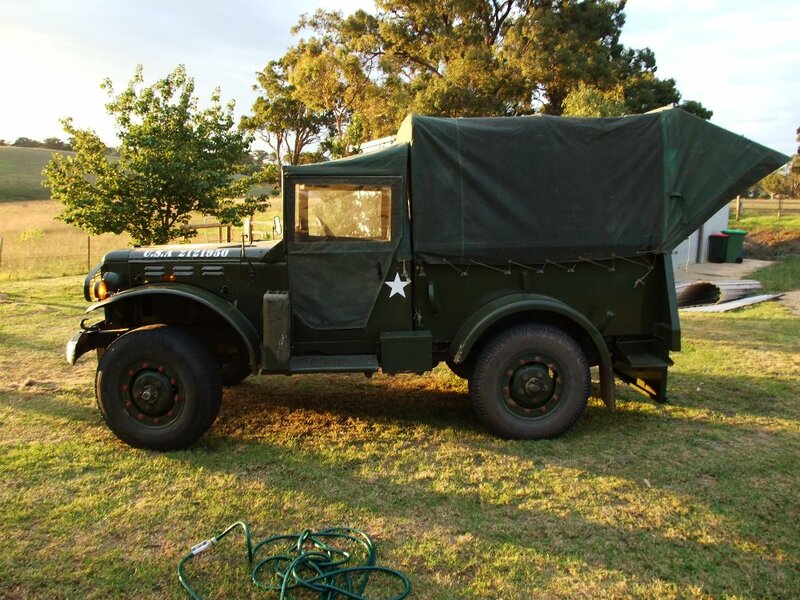 If Army Group A, are unable to attend, all vehicles will consolidate and depart from the carpark opposite the bakery at Lyndoch at 1000 Hr’s on Saturday, 19th October 2013. 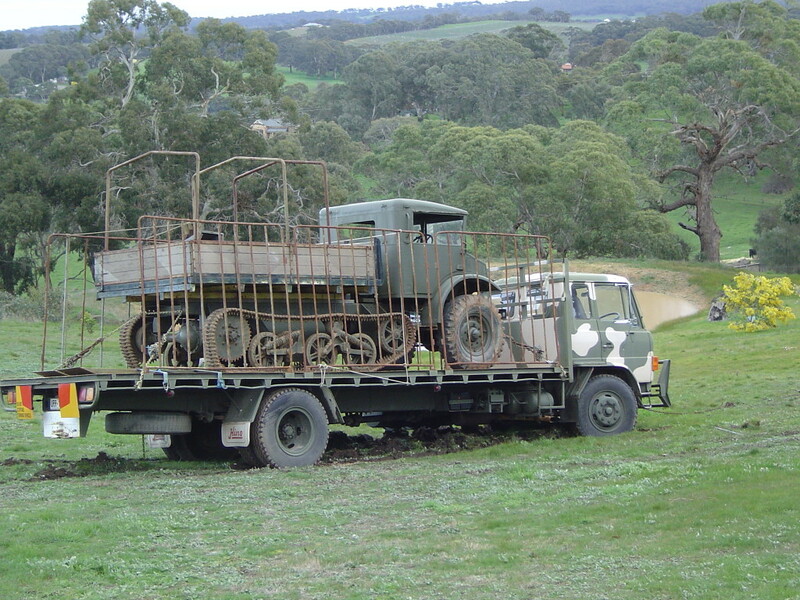 Currently, the armoured column, Army Group A, may consist of Rick Shearman’s Greyhound Armoured Car towing a Ben Hur trailer, Tony Luke’s Bedford QL Ra- dio Van, Sam Cutajar’s Jeep and trailer, and other TBA. The reconnaissance unit, Army Group B, may consist of Darryl Lavis’s Jeep, Geoff Klau’s Jeep and trailer, Richmond Grebory’s Land Rover and trailer, Bob Cottle’s Diahatsu, others TBA, with forward scout Mark Gregory on a motor cycle.